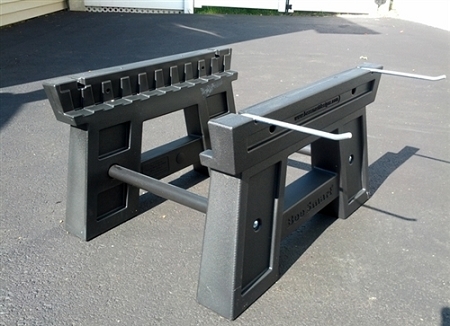 The Bee Smart Base is the ultimate hive stand. Upgrade the look of your apiary. 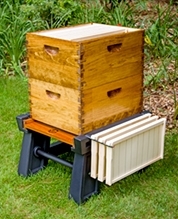 It's the only hive stand you will ever need and perfect for all hives. For 10 frame hives. Made in the USA with recycled materials! Fast, easy assembly takes less than two minutes with only a screwdriver. Raises hive 12" (300mm) off ground, a perfect height for working. Frame holders for easy access to all hive bodies. Improved ventilation and mite/pest control. Design allows rainwater to drain, keeping hive dry. Technopolymer construction will not rust or rot. 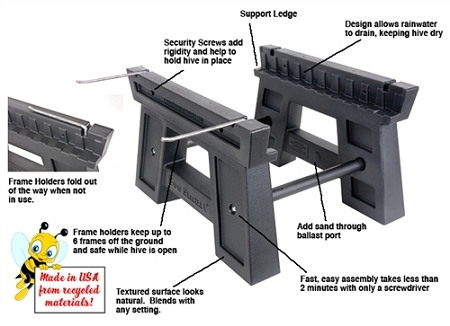 Security Screws add rigidity and help to hold hive in place. Frame Holders keep up to 6 frames off the ground and safe while hive is open. 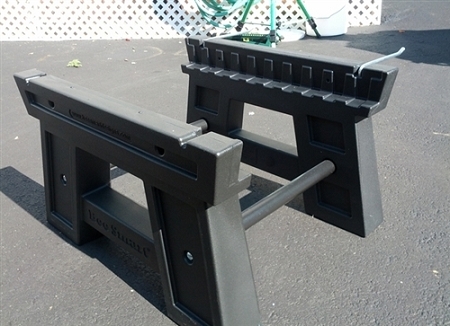 Frame Holders fold out of the way when not in use. Textured surface looks natural and blends with any setting.